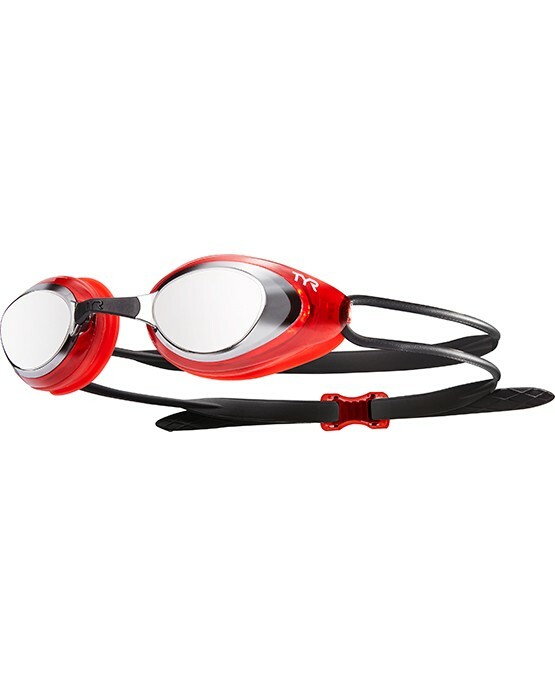 Feel the speed in our TYR Blackhawk Racing Mirrored Adult Goggles. 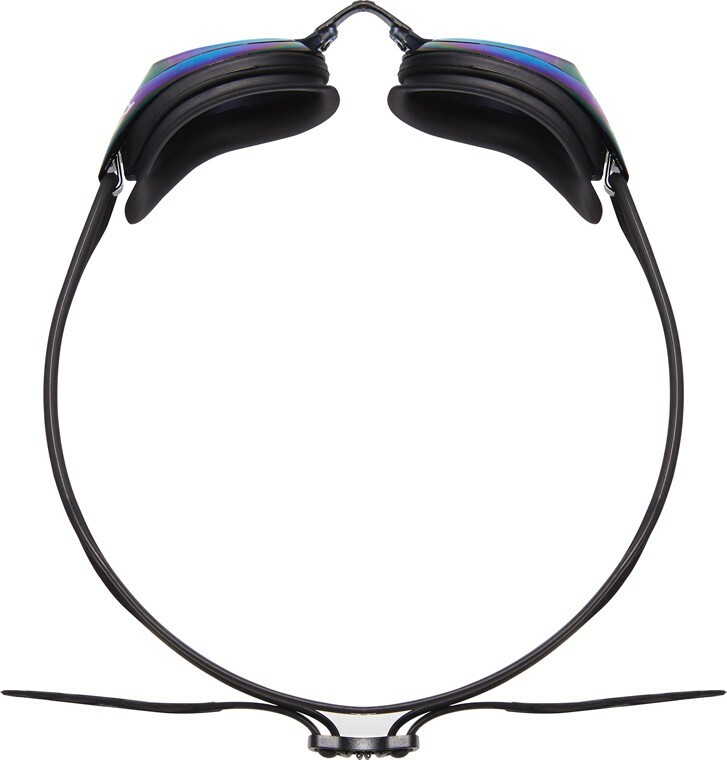 Engineered for both men and women in competition and training, the low profile design of the LGBHM swimming goggle ensures a close fit with minimal drag. Lightweight and streamlined, the Blackhawk's watertight construction includes Durafit silicone gaskets, wide peripheral range and five removable nosebridge size options. Got what I expected. Good goggles, reasonable price. Look cool. Function alright, a bit of fogging and leakage but nothing a little more suction can't fix. I have been using these goggle for a few weeks now. The fit is nice, and the double band helps them stay put. They tend to begin fogging after about 15 minutes in the water, but not to the extent that I can't see. The seal around my eyes keeps water out but doesn't feel uncomfortably tight. 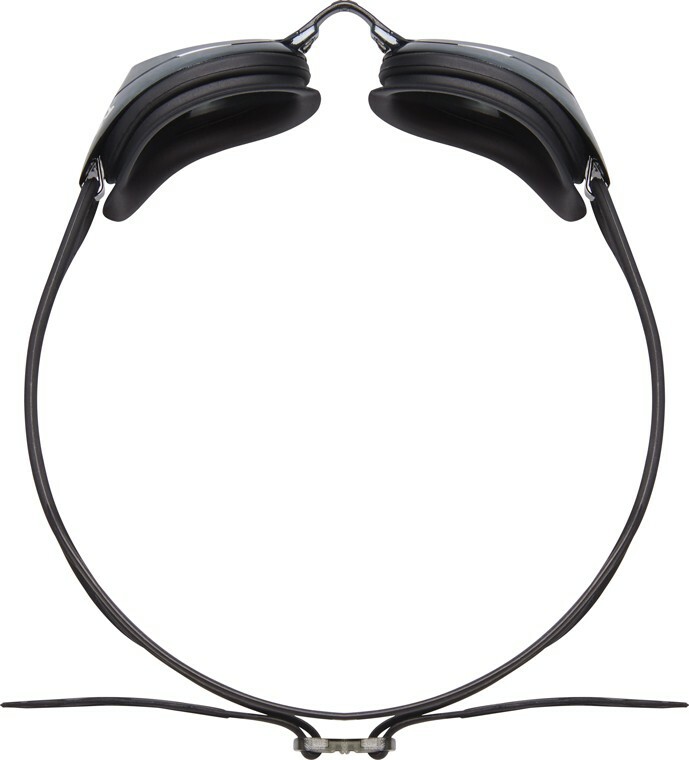 Q: Do you wear these in practice? A: Yes, Great for Practice and Competition. 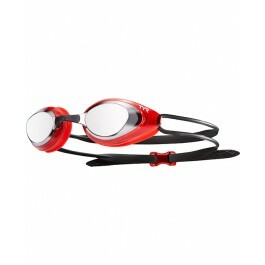 Q: Which racing goggles/styles are recommended for inside pool use? Avoiding dark lenses is the concern. A: Thank you for contacting TYR Sport! We are always eager to answer any questions you have about our products. Our Blackhawk Racing Mirrored Goggle is low profile design and ensures a close fit with minimal drag. This style is highly recommended. Q: Is the nose piece adjustable ? 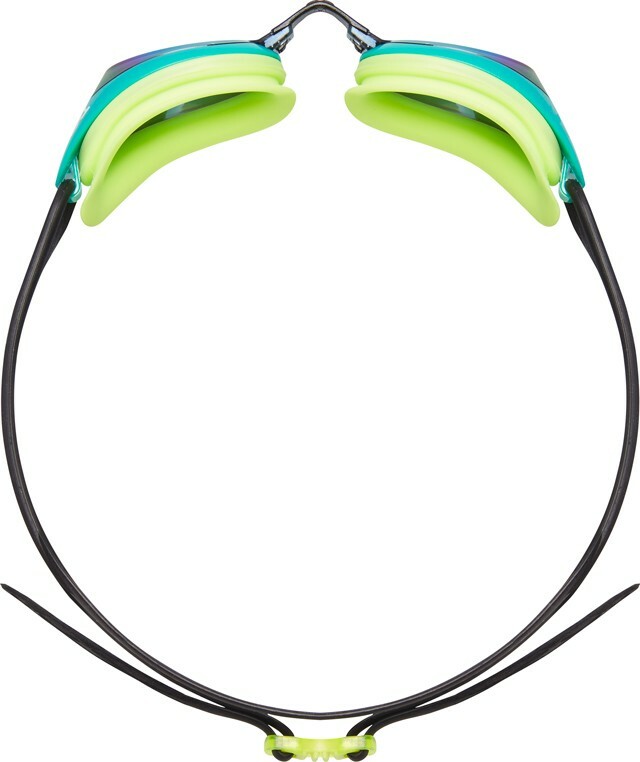 The Blackhawk goggle has five removable nosebridge size options. Feel the speed in our Blackhawk Racing Mirrored Goggles. 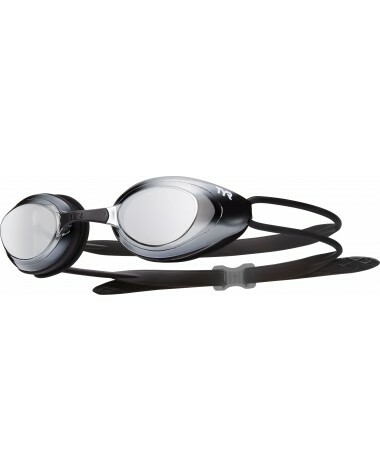 Engineered for both competition and training, the Low Profile design of this goggle ensures a close fit with minimal drag.